Just looking at the surreal beauties such as Margot Robbie, Gemma Ward, Miranda Kerr fills us with envy. Once we are passed the point of jealousy we become filled with curiousness. Are these women even real, and knowing the answer is yes, we become consumed with the desire to know how they manage to look so good. Good is actually an understatement, they are drop-dead gorgeous. In order to get to the bottom of this, and snag their beauty secrets for ourselves, it is time to dig in and do some serious research. Sunny days, beaches and sun tanning all sound wonderful, but they can take a toll on the skin, cause damage and premature aging, and Aussie girls know how to fend for their skin. They never take skincare lightly and so they invest in high quality skin skincare products, starting with powerful sunscreen with high SPF. They will not renounce quality fun time at Bondi Beach (and other surreal ones), but they will make darn sure their skin is slathered with a generous amount of super high, quality SPF. However, don’t be mistaken – SPF is not only reserved for taking beach-time precautions. Daytime moisturizers filling the makeup cases of Aussie girls are never without SPF either. Those UV rays can strike at places other than the beach, so make sure you find yours ASAP. After covering the basics of skin protection, let’s see how Aussies show their skin some extra love on a daily basis. First in line of the extensive list of Aussie-approved products is facial oil. The one that they are particularly fond of, swearing by it when it comes to fighting skin inflammations, reducing redness and shrinking those pesky blemishes and pimples is emu oil (you read that correctly). 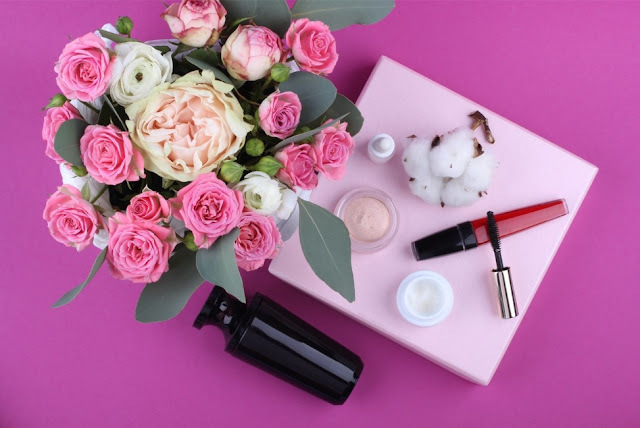 Moving on, for a flawless complexion they rely on a multi-step skin regimen consisting of cleansers, toners, skin serums and plenty of moisturizer, as they are well-aware that keeping skin hydrated is the key to its health and glow. For an extra dose of that natural-looking sun-kissed glow, they always turn to quality cosmetics such as mineral illuminators and CC creams. Masking and exfoliating also play a major role for achieving a skin so perfect you can’t keep your eyes off it. For Aussies, the path to clean and glowing skin is paved with Kaolin clay masks and coffee scrubs. The latter is extremely beneficial as a whole-body scrub as it helps get rid of two major enemies – cellulite and blackheads. Did you know that swimming regularly, especially in salt water helps the skin retain moisture and detoxify to promote new cell growth? You will be surprised how smooth and healthy your skin feels after an invigorating ocean swim. This is the most natural skin detox routine you can take up, (and tone your body as a bonus), so if you want that Aussie body, get to the nearest beach or pool, and start swimming. The benefits of coconut are amazing, whether as a beauty tool or a nutritional one. Use it to gently remove your makeup and nourish your skin at the same time, replace regular body lotion with coconut, use it as a natural scrub in combination with coffee grounds. As for health benefits, cooking with this oil has an amazing impact on your liver, kidneys, bones, and almost everything in your body. It is high time you go nuts for the coconut too. In case you haven’t noticed the importance of water and hydration already mentioned, here is a friendly reminder. 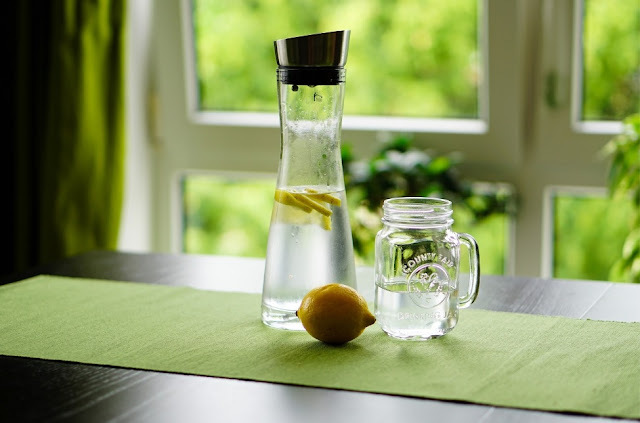 Hydration is one of the crucial components of good health, and that health shines through in the form of glowing skin and amazing complexion while also helping you achieve your fitness goals. If your water intake has been lower than eight glasses a day, step up and start watering that body right now. Now go, and do skincare, Australian girl style. Mia Taylor is a fashion and beauty enthusiast from Sydney and writer for www.highstylife.com. She loves writing about her life experiences. Travelling and enjoying other cultures and their food with her husband is a big part of her life. She is always on a lookout for new trends in fashion and beauty, and considers herself an expert when it comes to lifestyle tips.